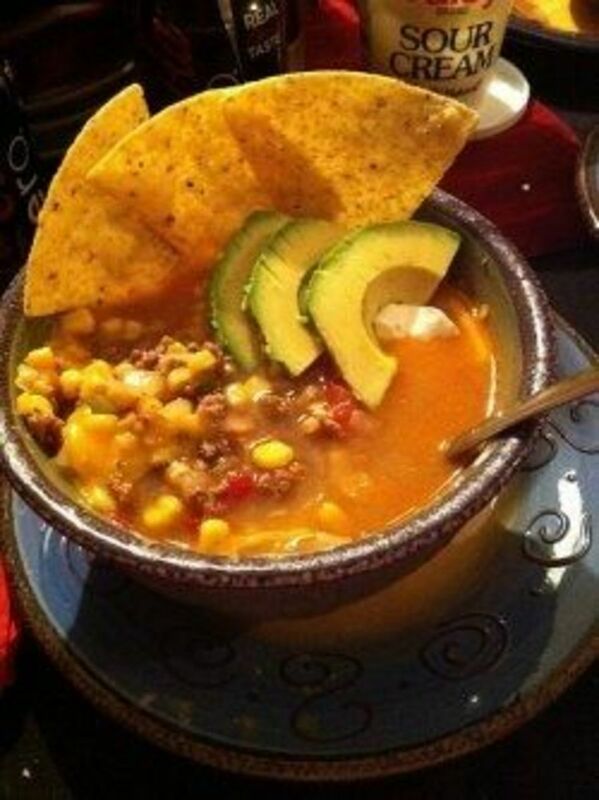 I learned to make this soup when I was a student. I generally lived on junk food and sandwiches but every once in a while I did feel that I should have some proper food. 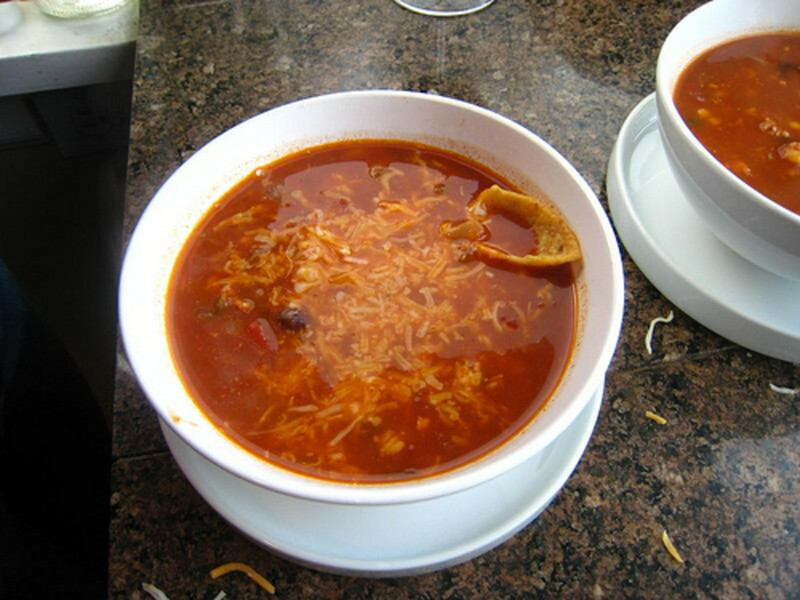 This soup is very nutritious, filling and, most important for me at that time, very simple to make with few ingredients. 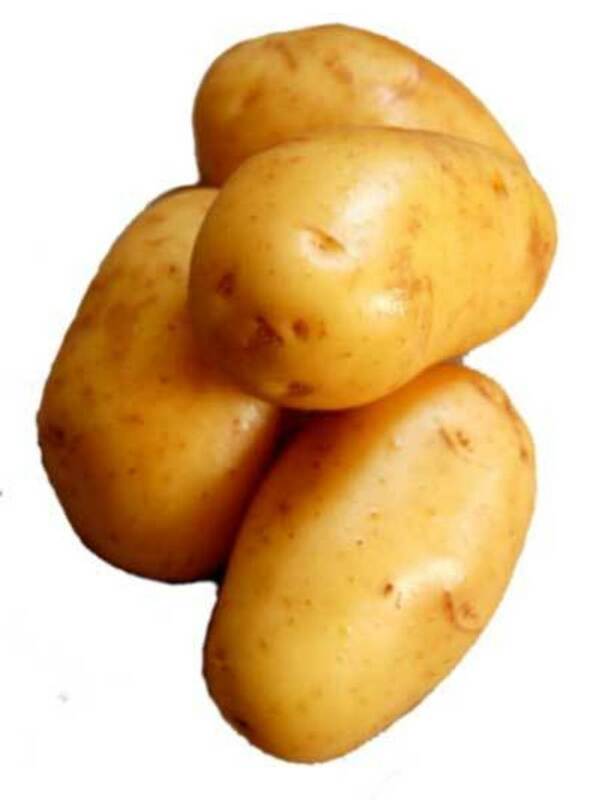 There is no fluffing about with exotic flavours, it delivers exactly what it promises, creamy leeks and potatoes. 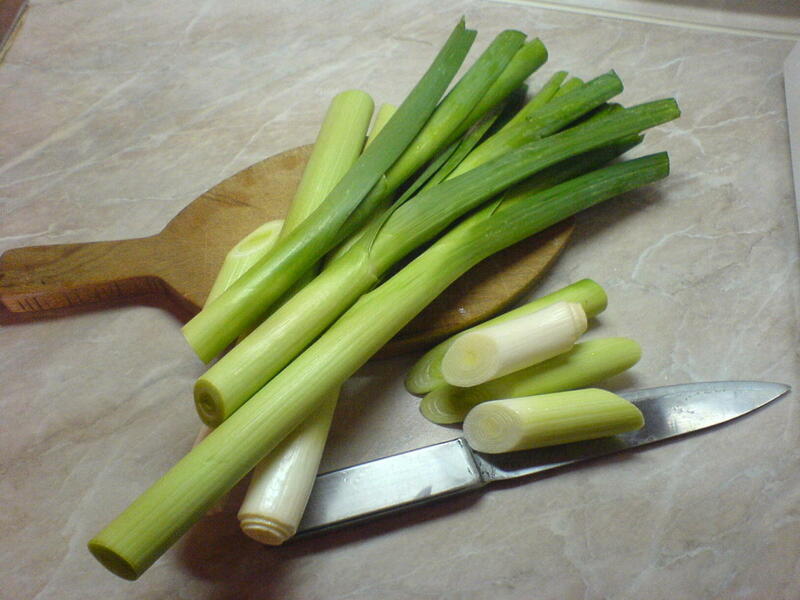 The only thing you need to pay attention to is cleaning the leeks thoroughly before cooking. They do tend to hide a lot of soil and grit in between the leaves, which is of dubious nutritional value and doesn't enhance the enjoyment of eating. The best way I found to wash all the grit from leeks is to cut them in half lenghways. You can then wash them under a running tap, making sure that the water gets between the leaves and making sure that you get rid of all the mud that is trapped there. 2. 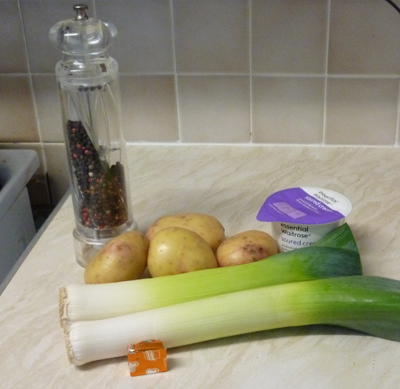 Put the potatoes and leeks in a saucepan, cover with water and bring to boil. 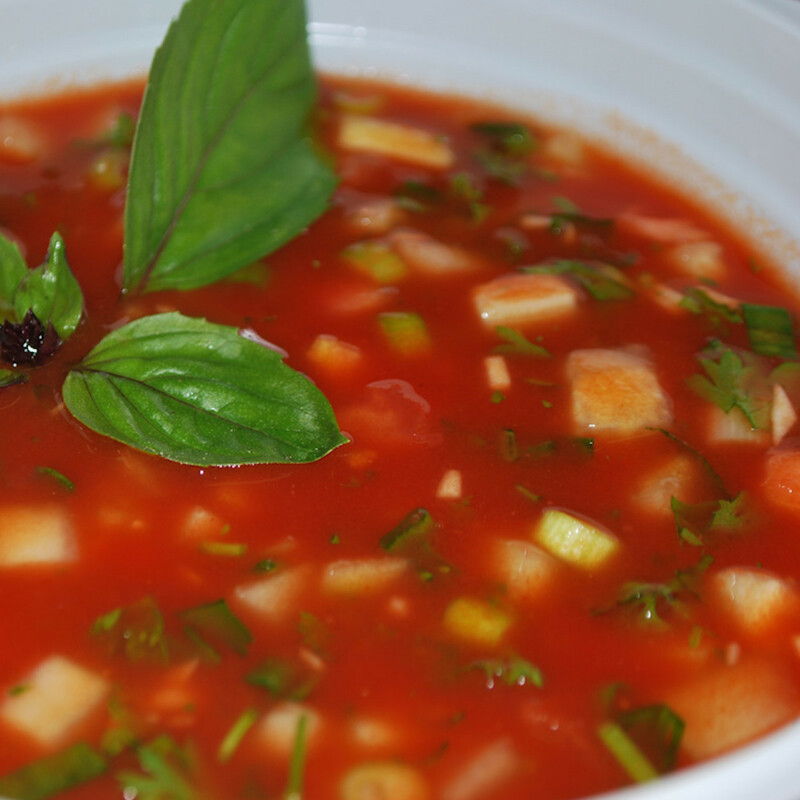 When soup starts boiling lower the heat so it simmers gently, add a crumbled stock cube and season with salt. Simmer gently for 20 minutes or until the vegetables are tender. 3. 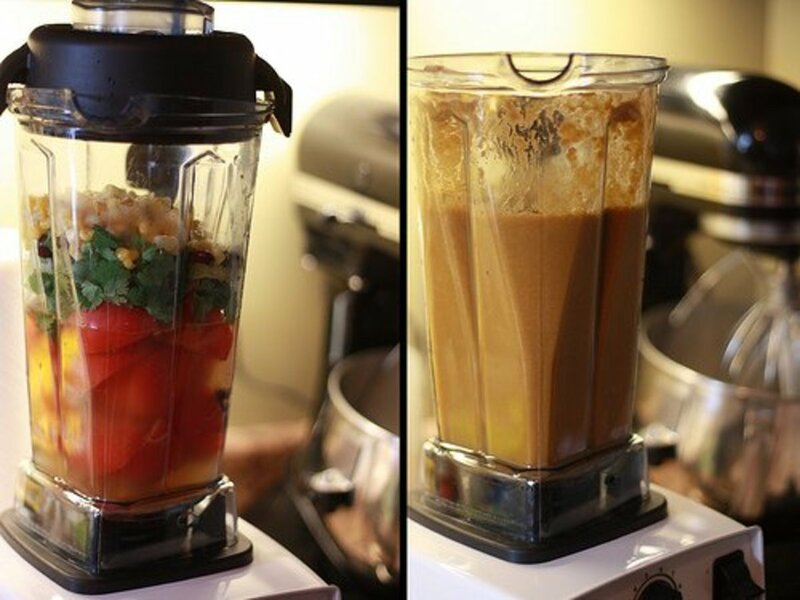 Blend the soup in a blender or food processor. I like to leave a portion of the vegetables unblended so the soup has 'chunks' in it. Return to the pan to warm again, and add the cream, carefully so it doesn't curdle. Check the seasoning, add more salt if necessary and add the ground pepper. yum, indian lime pikcle sounds tantalizing.... how does it taste?is the other blog take back dinner? alas, looks like it is still on the back burner. good luck.i reconciled myself to the fact that i don't think i'll ever be as good about blogging as i once was. my poor quilt blog has been totally neglected - i need to spend a day posting pics of all the quilts i'm made since the last time i put anything up on it. I love potato soup, and I like the simplicity of this recipe - it sounds easy and comforting. I can see why it was a favorite of yours while you were a student! Thanks for posting this - I will try it! Voted up, useful and interesting.